Chelsea have reportedly agreed a £32 million fee with Atletico Madrid for the transfer of Diego Costa in the summer. The Brazil-born Spain international has been one of the top strikers this campaign. He has scored an amazing 35 goals in 47 starts and that includes a goal against the blues as well. Costa has been on Chelsea’s radar for several months now. The 25-year-old did not impress in the first leg Champions League semi-final against Chelsea, but he scored the crucial penalty that knocked the blues out of the competition. 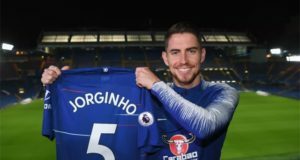 Jose Mourinho has been consistently stating that Chelsea have lacked a striker with ‘killer instincts’ and this has been the reason for not winning the league title. Costa is expected to be named in the Spanish squad for the World Cup (click here for your favourite betting odds on football including World Cup). It was originally expected that his transfer fee would be in excess of £45 million. 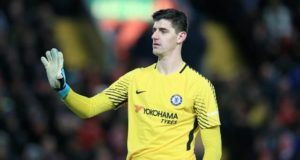 However, Atletico Madrid seem to have agreed this fee after Chelsea allowed them – albeit reluctantly – to field Thibaut Courtois in the Champions League semi-finals. Anything above £40 million would have been a little excessive for the striker, who has been on this impressive scoring form only for the last 12 months. As it stands, a £32 million fee is bang on target and it could give us the edge in next season’s title race. The deal is expected to be officially announced in the first week of June. Samuel Eto’o is set to leave the club, but Fernando Torres and Demba Ba could stay. A defender is also thought to be on Mourinho’s wish list for the summer.